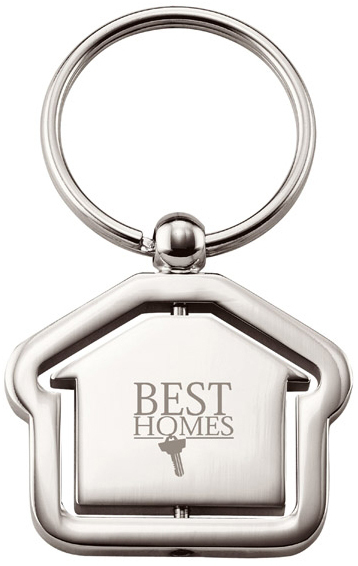 After you’ve sold someone their dream home, hand them their new house keys with a beautiful engraved key chain attached to it. Homeowners will love the gesture and pass on the good word to their friends and family about how helpful you were in finding their new place! 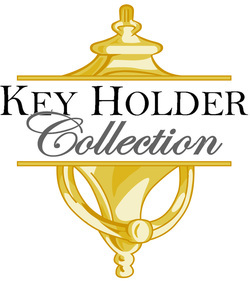 Your clients keep their most valued possession, their house, under lock and key. So why not put your brand where they will see it every day...on their key rings! 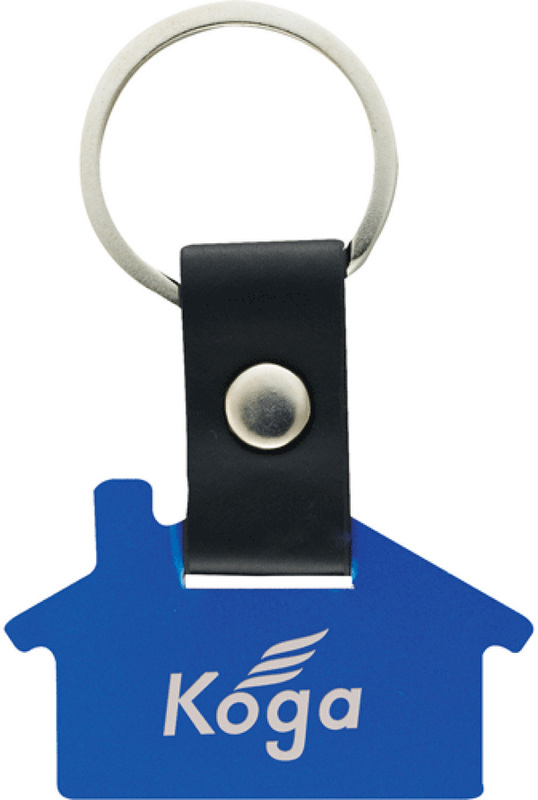 These customized House-Shaped Acrylic Key Tags will feature a full color imprint incased within a crystal clear acrylic shell. 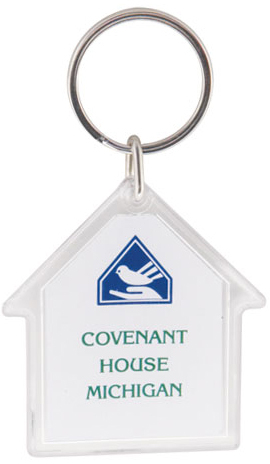 Safe, reliable, and (above all) affordable, these House-Shaped Acrylic Key Tags customized with your brand will be your clients' favorite addition to their most valued belongings: their keys! Make your client's home purchase as special as possible. While having balloons and confetti suddenly appear when they sign on the dotted line would be nice, they're not necessary. 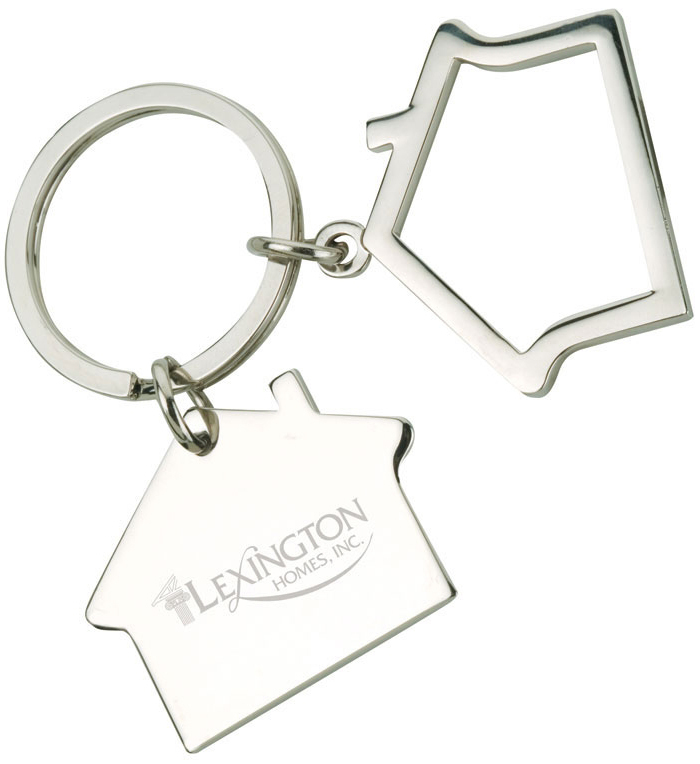 Instead simply include our stainless House Key Tag on their brand new house keys. 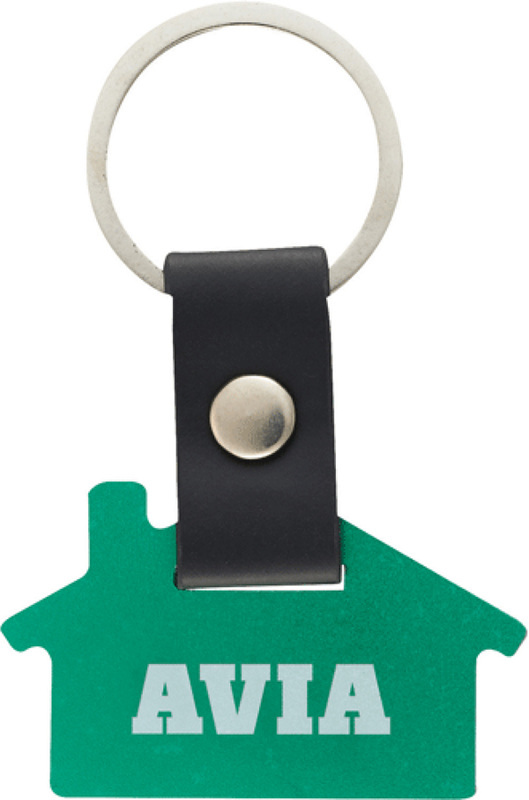 This promotional key tag is durable and will stand up to whatever wear and tear your clients throw at it. Plus, with your brand laser engraved you won't have to worry about it rubbing off from years of use! Here's the key to unlocking your brand's full potential and to shed light on your customer service skills. 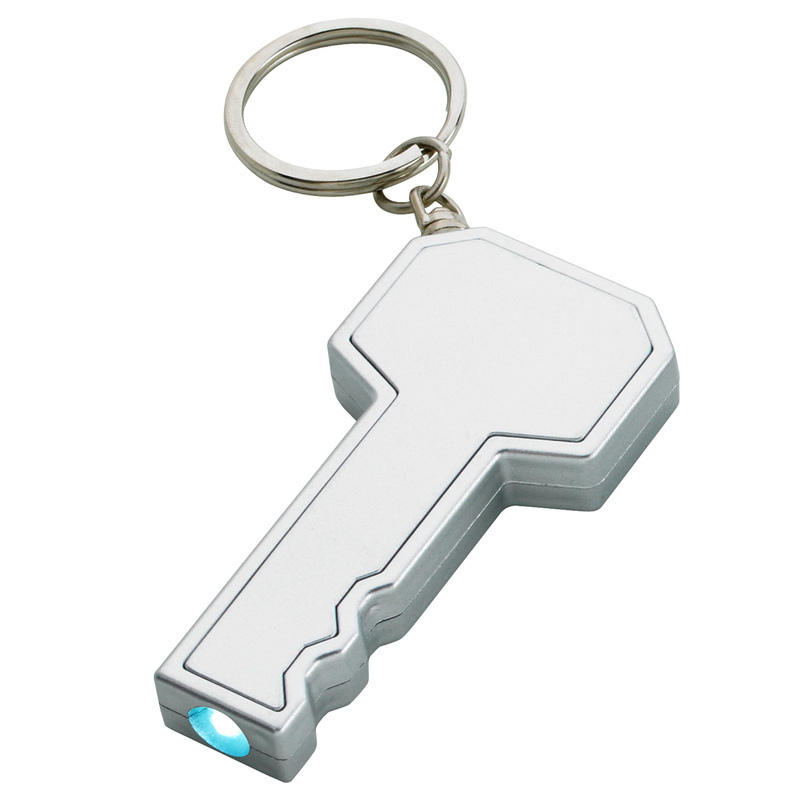 It's not just a custom key ring, it's also a LED light. 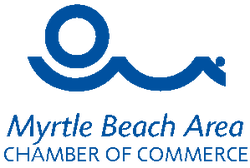 It's inexpensive and makes an ideal handout or trade show giveaway. Who knows, maybe this promo product is the key to improving your brand awareness. Headed to the same trade show again this year and staying at the same hotel too? 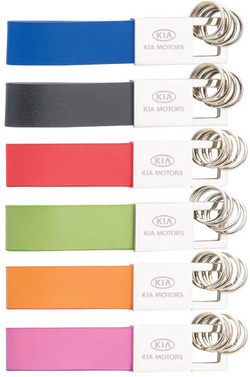 Spice things up with having a stylish promotional product to hand out. 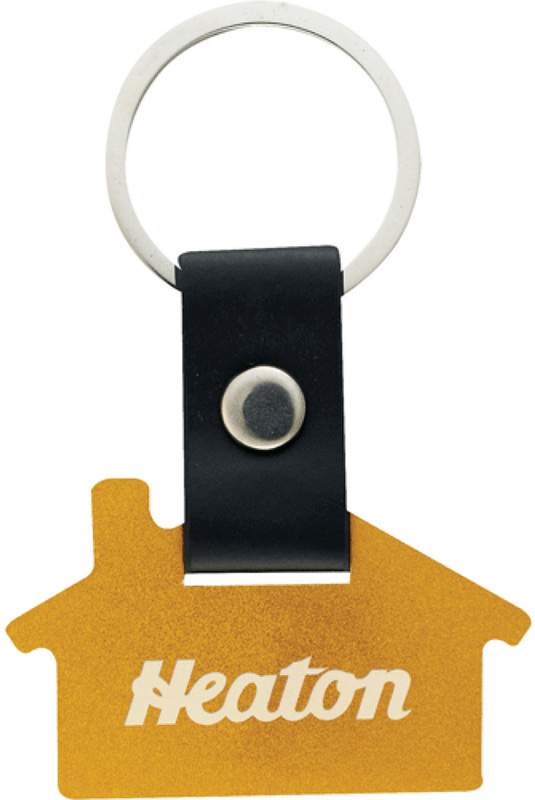 Our Leather Key Tag is just that promotional product that will excite you once again! You can order a color that best matches your company's colors or order a bunch in all the colors to add some excitement to your booth. No one leaves the house without their keys. 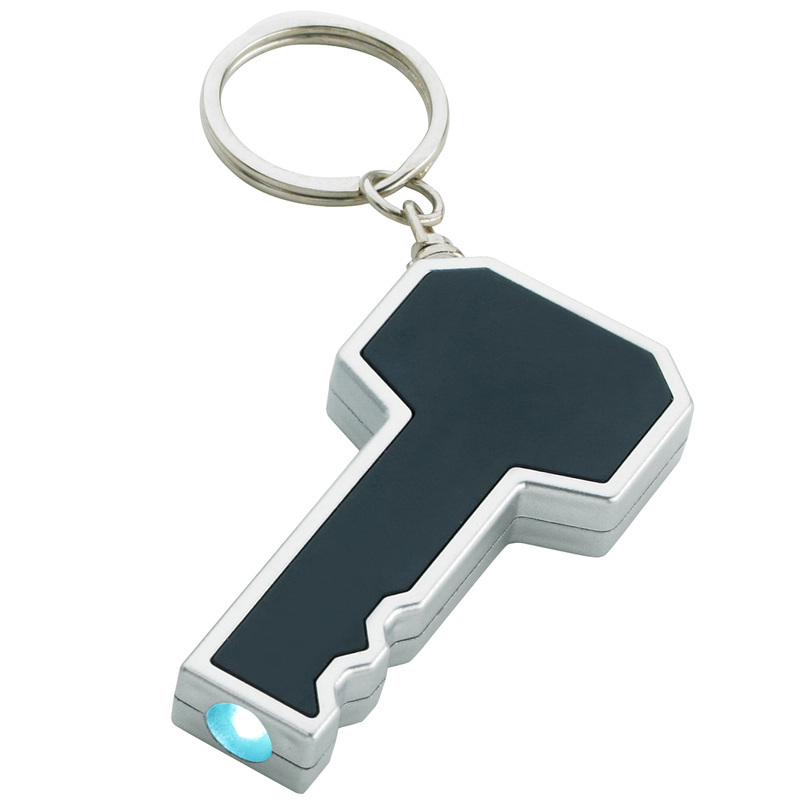 Your clients will be reminded of you everywhere they go with this house-shaped aluminum key chain. Leave your competitons' heads spinning at your next networking event. Looking for a more stylish substitute for that old keyring you've giving out? 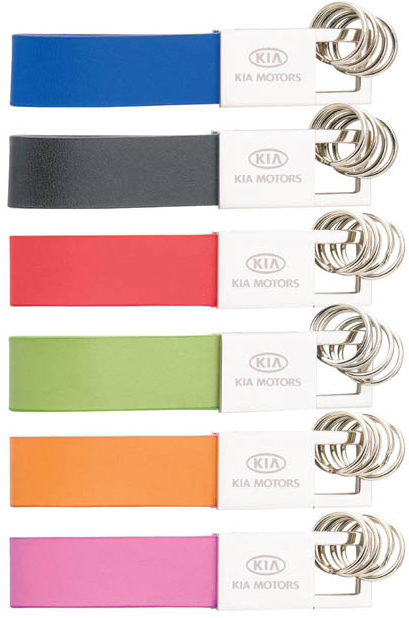 Well, we have the perfect promo product for you - the Pull Apart Key Ring! 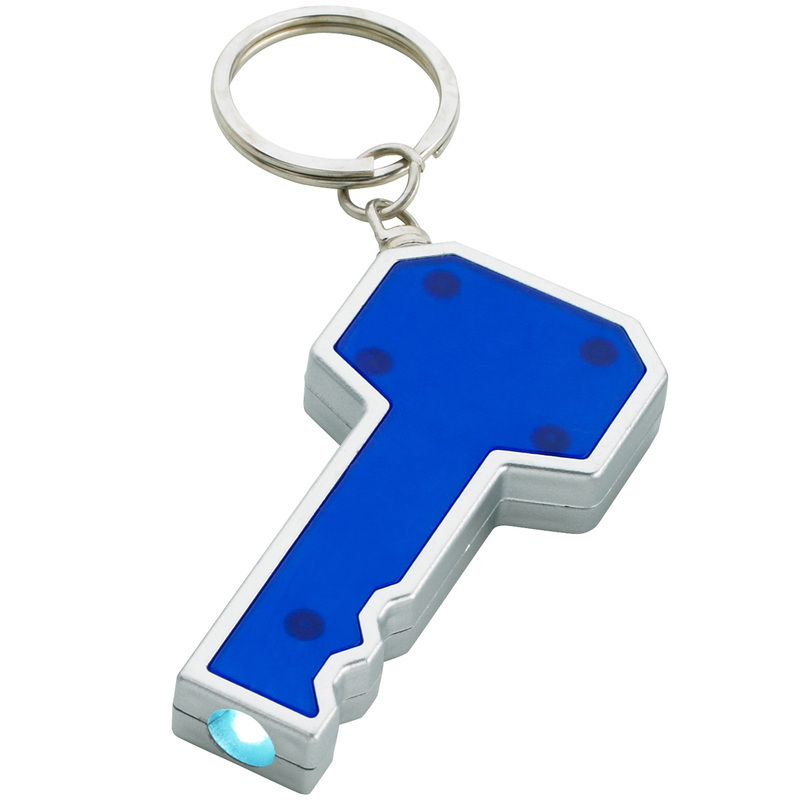 Your clients have entirely too many keys to keep track of...this slick key ring is perfect for them! 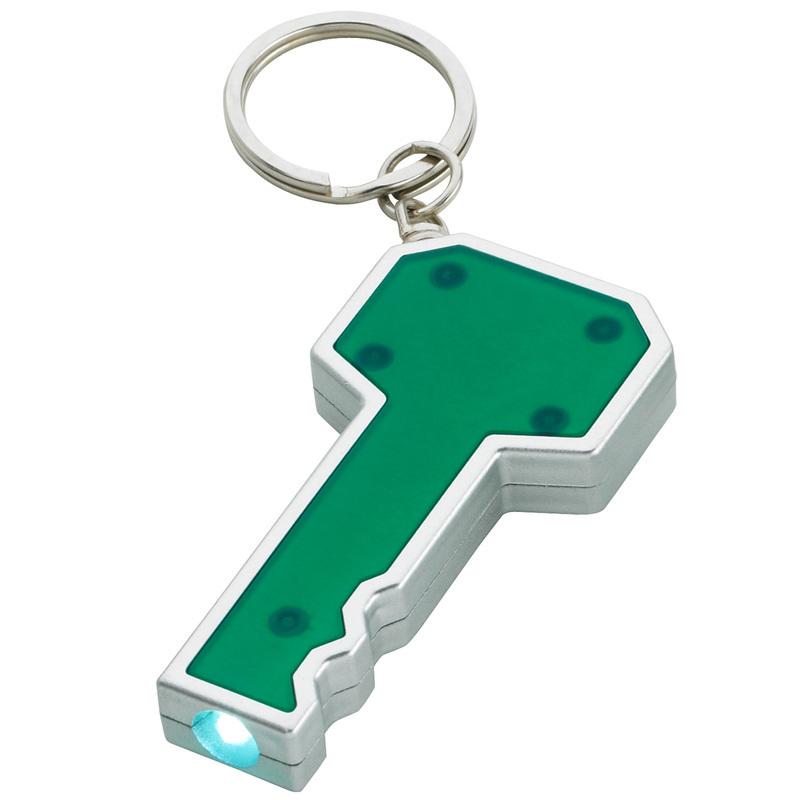 The keys can easily be detached from the rest of the unit for easy access when you're in a hurry. The best part is that it's available in either satin nickel or chrome finishes. 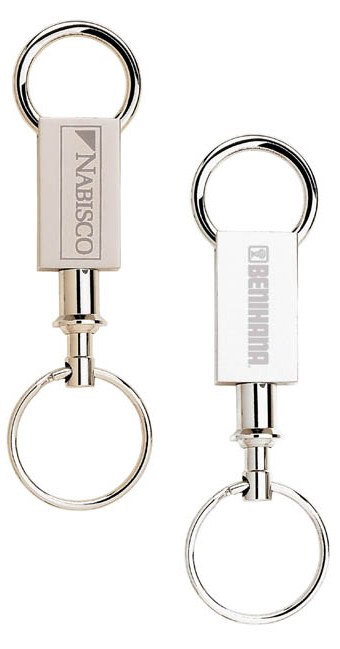 With your brand laser engraved on this Pull Apart Key Ring, it makes for an ideal trade show giveaway, networking tool or mail-out. 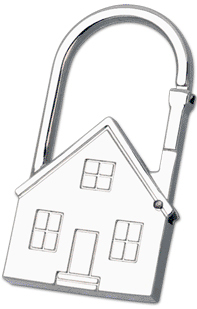 Okay, so real houses don't normally swivel...but these House Shaped Key Holders do! Help your clients make their new house a home by giving the gift they're sure to use. One of the biggest investments that people will make will be the purchase of a house. 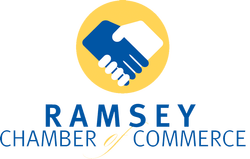 Why not make your customers feel like they chose the right company to work with during this exciting and nerve-wracking time? 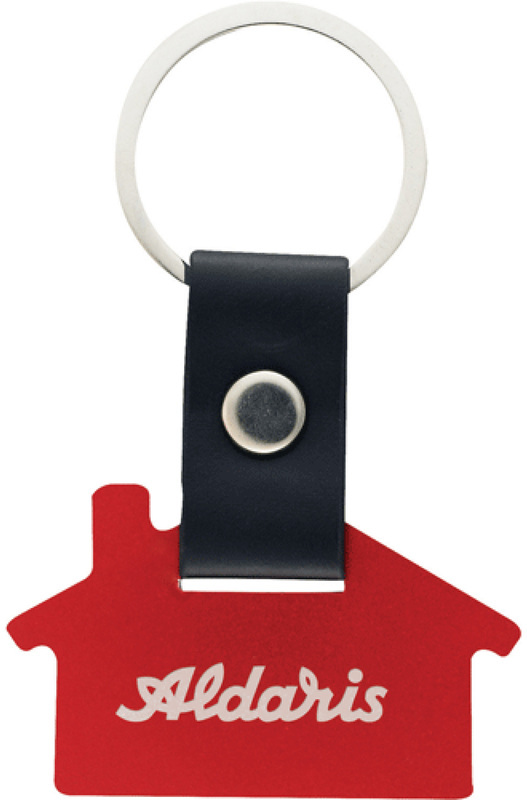 Our House Key Ring will make their new set of house keys look amazing! 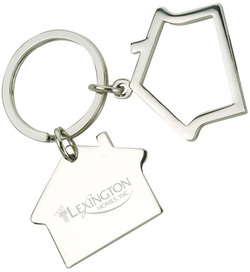 When you laser engrave your brand onto these key rings you'll be a part of your new homeowner's lives forever. The metal construction will outlast your expectations and be a lasting testament to your brand.